Leading Manufacturer of solar submersible pumps from Rajkot. 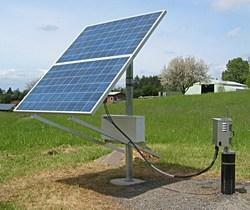 Solar Submersible Pumps is used for Agriculture, Industries and Household utilization. No need of Electricity or any other fuel.